Published by Pauline Pontois 20 August, 2018 in Gothenburg 400 years 2021. 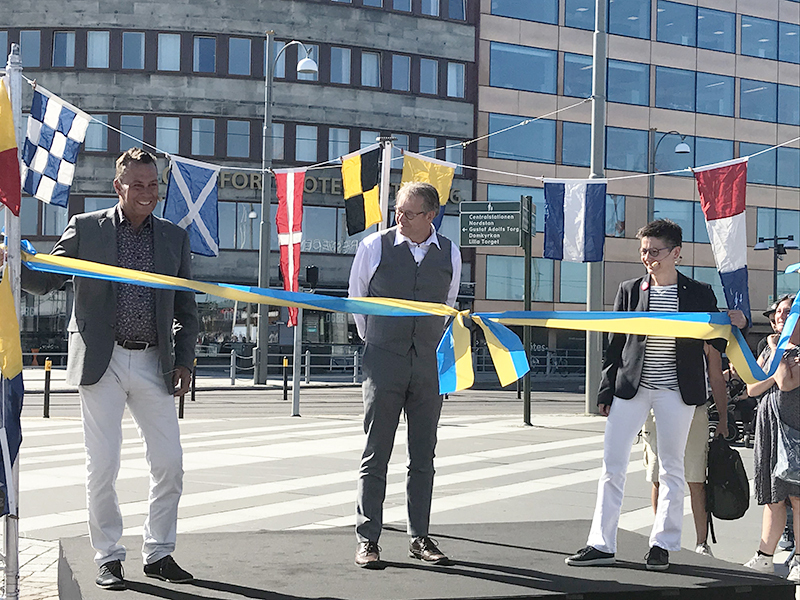 The Anniversary Pavilion opened to the public during the Gothenburg Culture Festival on the 14th to the 19th of August. The Pavilion was a success, offering a programme of over 70 events and attracting many curious visitors. Curious residents flocked to the Anniversary Pavilion this year to sample the various activities on offer. Visitors had the chance to find out more about the anniversary initiatives, speak to senior city officials and listen to talks and presentations on the stage. There were several international events in the programme in line with this year’s focus year theme, Go Global. Among other things, artist Arghavan Agida presented her project Artdom, which unites Iranian and Swedish female artists. Kerstin Årre, unit manager for libraries in eastern Gothenburg, spoke about the World Literature House, a new multicultural library opening in Gamlestaden on the 1st of December. The Pavilion’s VR shows proved enormously popular. 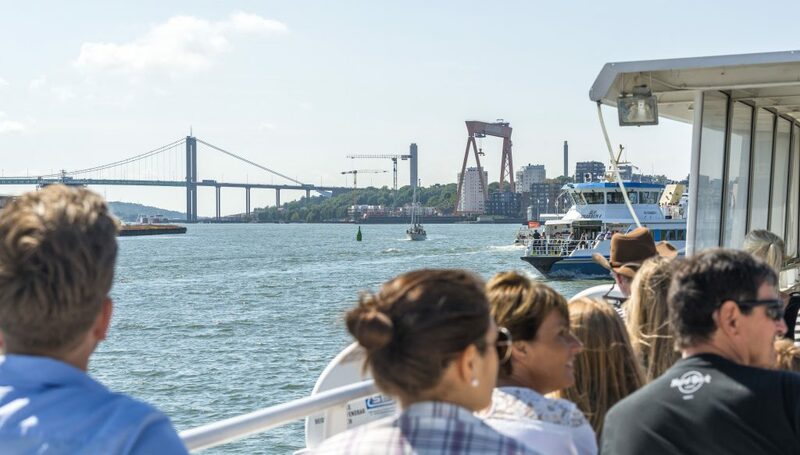 Visitors experienced a simulated ride on Gothenburg’s new cable car over the river, thanks to a collaboration between the Traffic & Public Transport Authority and Västtrafik. They also got to experience visualisations of 17th century Gothenburg created by the Museum of Gothenburg and the City Planning Office. Music enthusiasts could take part in Side by Side by El Sistema Sweden and the Gothenburg Symphony Orchestra’s activities, and the Hisingen youth group gave a spontaneous dance show to promote the new dance platform on Kvillestråket. In the evening, the public danced to music served up by various DJs. 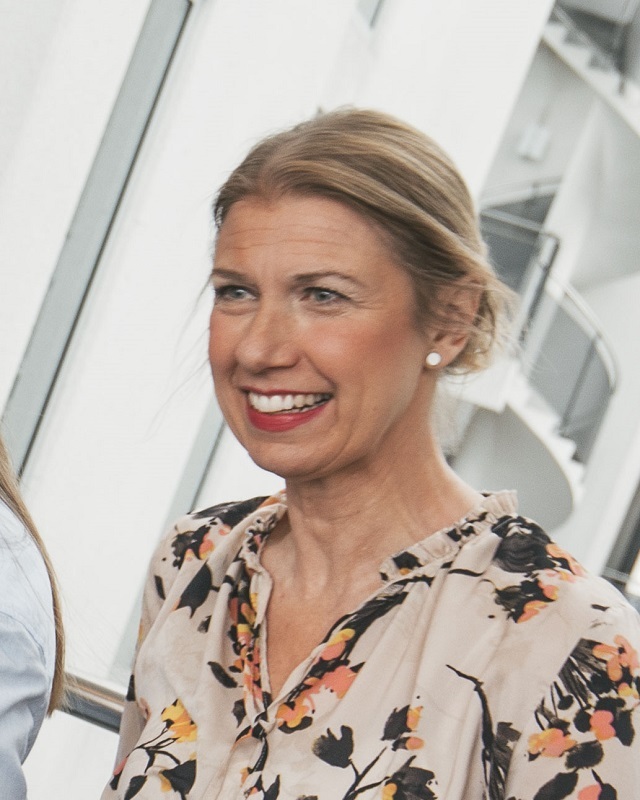 “The Pavilion is a wonderful venue where we can converse with Gothenburg’s residents about the city’s 400th anniversary 2021 and all the exciting ideas being realised,” says Alexsandra Flinck, project coordinator and manager of the Anniversary Pavilion. Published by Pauline Pontois 4 June, 2018 in Gothenburg 400 years 2021. 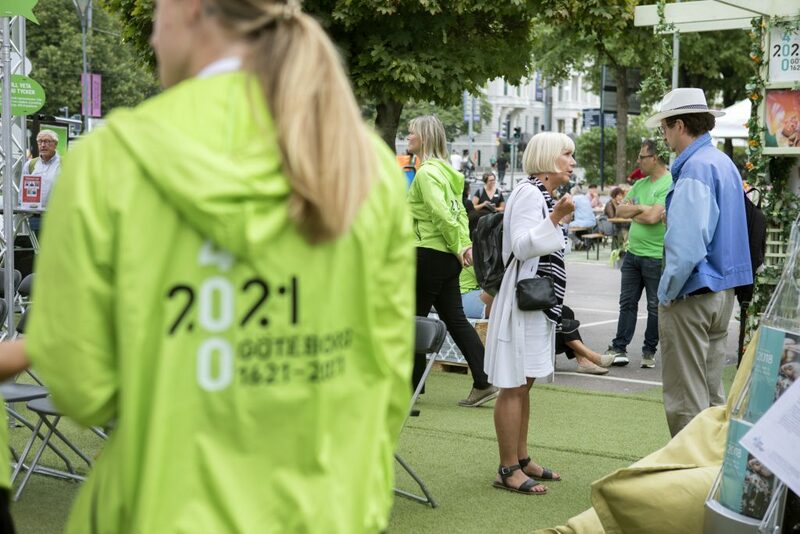 “When Gothenburg’s residents were asked what change they wanted in Gothenburg to mark the 400th anniversary, many asked for more interconnected walking routes, better access to the water and more green areas and inviting public spaces. With Kvillestråket, we are contributing to achieving this vision,” says Petra Wernersson from the Parks and Landscapes Administration. 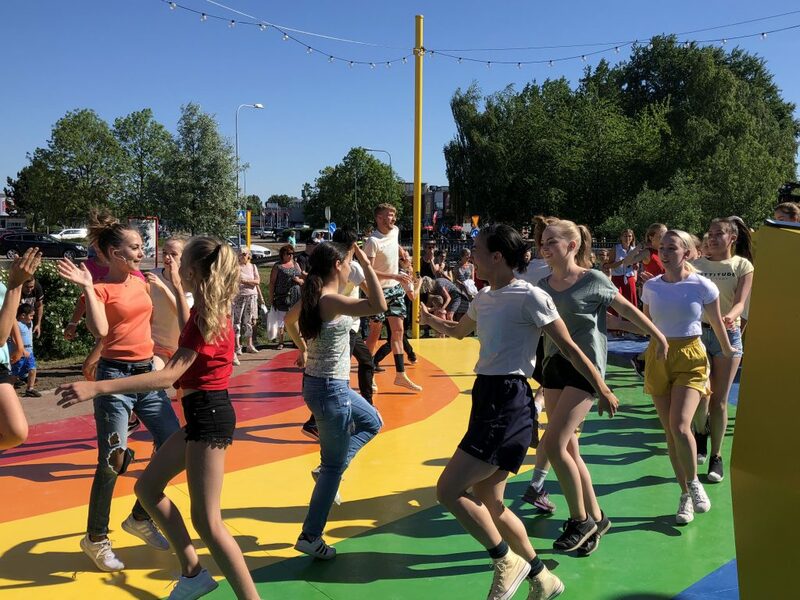 The new dance platform and the Blueways, Greeways and Oases “Kvillestråket” were inaugurated on the 31st of May with 17 dance routines, taster dance activities and outdoor exercise sessions. The route is 4 km long and stretches along Kvillebäcken between Frihamnen and Hökälla. The outdoor dance platform was requested by young girls, who helped to design it through a workshop. The dance platform is open to all members of the public who want to dance and play their favourite music. The dance platform and walking route were inaugurated in hot summer weather, but this didn’t stop visitors from joining in the outdoor dancing and exercise activities. Other participants in the event were the Göteborg Opera, Hisingens Kulturskola, Kulturlabbet and many more. Published by Pauline Pontois 30 May, 2018 in Gothenburg 400 years 2021. Twelve artworks will be painted on building façades along a 21-kilometre art trail stretching from Blå Stället cultural centre in Angered to Röda Sten art centre in Klippan. The art trail – the world’s longest – is scheduled for completion by the city’s 400th anniversary. This initiative, which is part of Let’s Colour Gothenburg, has the dual aim of uniting the various areas of the city and creating job opportunities by training unemployed young people in the painting industry. The first artworks are already in progress, and by the autumn five of them will be completed in various locations in the city. ”We Are Nature” by Thiago Mazza. Photomontage: Sätt Färg på Göteborg. Of the 290 entries in the Gothenburg Art 21 competition, twelve winning entries have been selected. The winners include local and international artists. During spring and summer of 2018, five of the artworks will be painted by unemployed youths in Let’s Colour Gothenburg’s training scheme. The first artwork, “Gothenburg United”, is already finished and can be seen on Andra Långgatan in Masthugget. It depicts a tram as a symbol of Gothenburg, and the artist is Linda Ljungblad from Sweden. 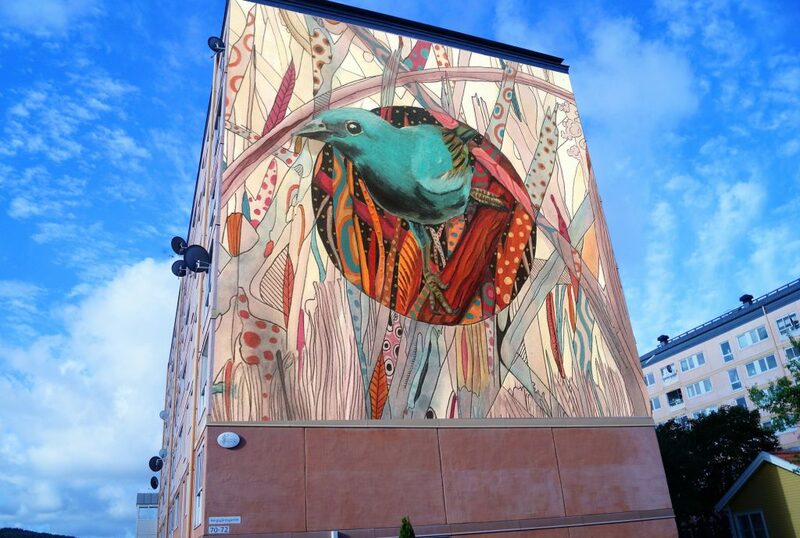 A second painting, of a large blue bird, is currently taking shape in its new home on a building façade in Hjällbo. This work, entitled “We Are Nature”, is made by the artist Thiago Mazza from Brazil. The third artwork, “The Lost Paradise” by Peruvian artist Isaac Barreda, won the diamond prize in the competition and will be painted in Gamlestaden in June. The artist will personally join the youths in Gothenburg to paint the large artwork. “Horizon Child” by Gothenburg artist DIVE and “Nature Dust” (another diamond winner) by Llefen Carrera, also from Gothenburg, will be painted later in the summer during the Gothenburg Culture Festival. Let’s Colour Gothenburg is run by the regional painting contractors’ association Måleriföretagen i Väst, in collaboration with Gothenburg’s 400-year anniversary 2021 and the Swedish Public Employment Service. Tagged with Gothenburg Art 21, Let's Colour Gothenburg. Published by Pauline Pontois 23 May, 2018 in Gothenburg 400 years 2021. 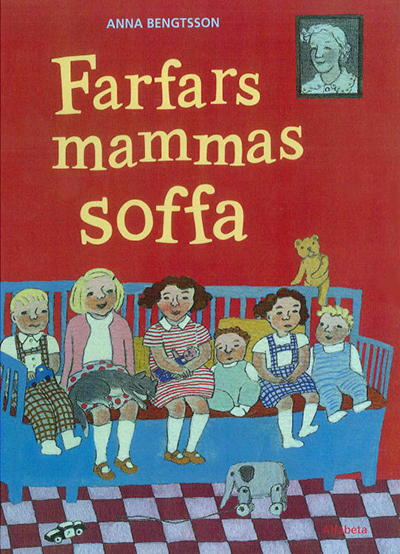 In spring 2018, all preschool children in Gothenburg were given a copy of Anna Bengtsson’s book “Farfars mammas soffa” (Great-grandma’s Sofa) as a gift. This initiative is part of Equal Gothenburg, a project encouraging people to read aloud to children during the lead-up to Gothenburg’s 400th anniversary in 2021. The initiative has also highlighted an opportunity for further training of teachers and library staff as well as theatre performances for preschool classes and the public. The plot of the book starts in 1915 when a young couple in Gothenburg buy their first sofa. Based on historical facts, the book follows the life of the family and the sofa all through the 20th century and up to the present day. It tells how the family grows, moves, moves again, how modern inventions emerge and how life changes both for the family and the sofa. 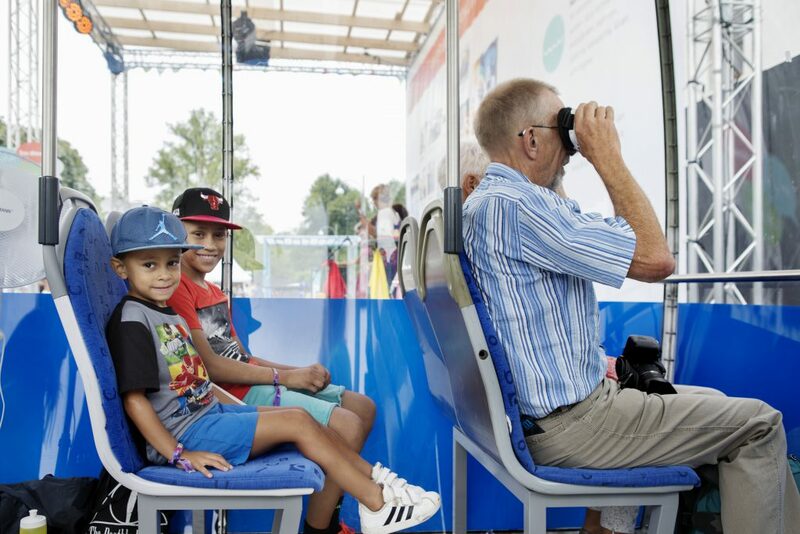 These activities were organised in collaboration between “The city where we read to our children” (part of Equal Gothenburg), Gothenburg’s 400-year anniversary 2021, Gothenburg City Libraries, Alfie Atkins’ Cultural Centre and the theatre companies Teater Gapet and Teater Bataljonen. The overall concept behind donating the book in preschools is to awaken children’s curiosity about reading and encourage adults to read to children. Tagged with Farfars mammas soffa. Published by Pauline Pontois 27 April, 2018 in Gothenburg 400 years 2021. With three years to go until Gothenburg’s 400th anniversary, partners from industry, associations, organisations, academia and municipal and regional administrations gathered to discuss and present their anniversary projects, plans and experiences leading up to 2021. 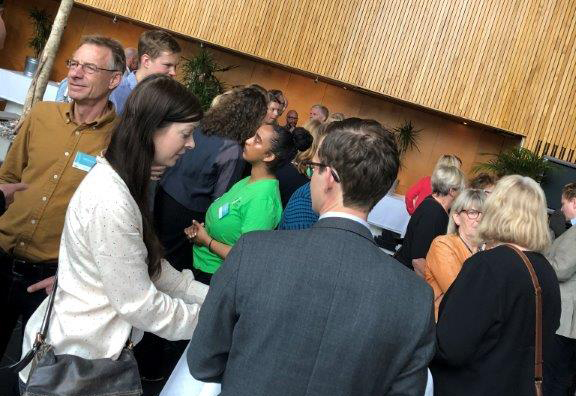 The atmosphere was both friendly and ceremonious when 200 partners met in Trädgår’n concert hall & restaurant in Gothenburg to launch the final stage of preparations for Gothenburg’s 400th anniversary in 2021. The morning started with inspiring discussions of several anniversary projects, and already by 10 a.m. many new contacts and connections had been made. The day continued with short presentations of projects and initiatives. Among others, Thomas Pieschl from Elof Hansson presented the Global Business Gate, Annika Knutsson spoke about the GöteborgsVarvet Marathon 2021 and Katja Ahlsell discussed the planned cultural centre in Bergsjön. In addition, Carin Kurling talked about Let’s Colour Gothenburg, a project with the dual aim of uniting the city and creating jobs for young people in the painting industry. The project has already helped 50 young people into permanent employment. “The project includes many different aspects, but the basic idea is to get young people into the job market. Right now we’re working on a project where artworks will be painted on building façades along a 21-kilometre art trail from the Blå Stället cultural centre in Angered to the Röda Sten art centre in Klippan,” explains Carin. Another project presented was Gothenburg Stories, a joint initiative between the Cultural Affairs Administration and the Museum of Gothenburg. “We are collecting stories from people from all ten districts of Gothenburg. Ultimately, 100 of these stories will be dramatised and performed in various ways,” explains Marie Nyberg from the Museum of Gothenburg. 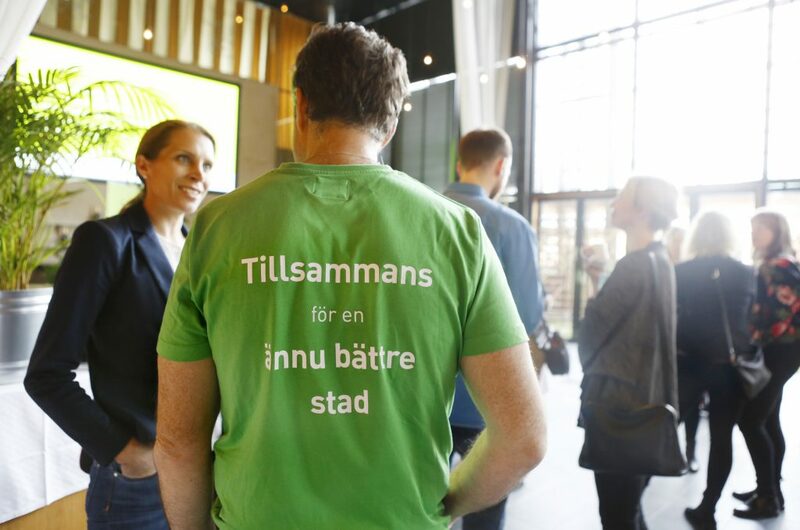 It was evident during the kick-off at Trädgår’n concert hall & restaurant that a great many partners are involved in the 2021 anniversary initiatives. Both Carin Kurling and Marie Nyberg were delighted to meet others working on anniversary projects. “It was wonderful to be here and see how many people are engaged in this huge endeavour and working towards the same goals,” says Carin. “It’s been really inspiring. It can get lonely working on your own project, but today I really got a sense of things going forward and everyone working together. It’s very exciting,” says Marie. To conclude the morning, storyteller Katrice Horsley from Narrative4Change led a dynamic and inspiring storytelling session about Gothenburg 2021. Assisted by the participants, who symbolically launched 200 paper boats in the Göta Älv river, she summed up the day and emphasised the power and importance of everyone working in the same direction. Published by Pauline Pontois 12 February, 2018 in Gothenburg 400 years 2021. The jury has selected the winner of the design competition for stations and towers on Gothenburg’s new cable car route. The winning design, entitled New Beacons, is a joint project between Amsterdam-based architectural and design studio UNStudio and Gothenburg-based Kjellgren Kaminsky Architecture. The competition was organised by the City of Gothenburg in collaboration with Västtrafik and Architects Sweden. Four pre-qualified teams submitted their entries last autumn. These entries were presented to the public, both online and via several exhibitions in Gothenburg. And now the jury – consisting of representatives from the three organisers – has selected the design by UNStudio and Kjellgren Kaminsky Architecture as the winner. “New Beacons is the entry that most convincingly fuses architectural quality with functional requirements. It combines poetry and playfulness with flexibility and developability,” says jury chair Lena Dübeck. What’s next for the winning design? “It will be incorporated into the planning of the cable car service and the winning team will be involved in this process. 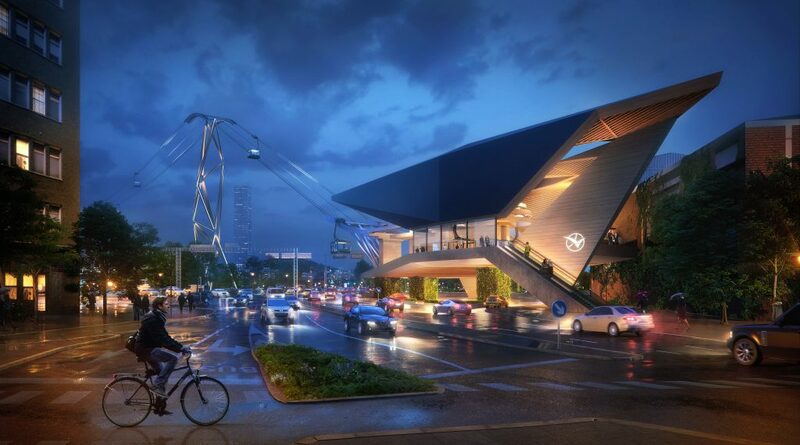 However, we cannot currently say whether the towers and stations will look exactly as in the design,” says Lena Dübeck. Read more about the cable car over the river. Tagged with Cable car over the river. Published by Pauline Pontois 24 January, 2018 in Gothenburg 400 years 2021. 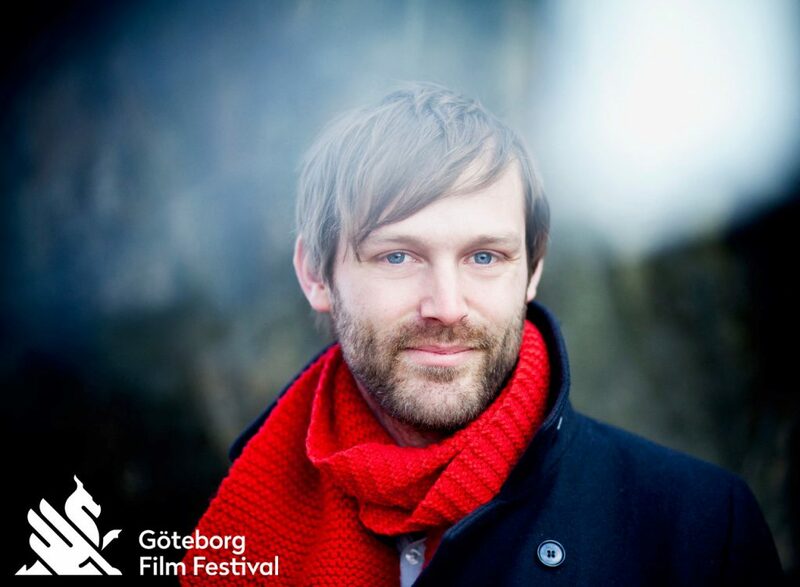 The Go Global focus year will be launched during the Göteborg Film Festival on Friday 26th of January. The Göteborg Film Festival is an ideal platform for launching the 2018 focus year, during which the whole city will be involved in preparing for Gothenburg’s 400th anniversary. Already before the launch, on the 19th of January, four film showings were held at the Draken cinema for 2 228 children aged 3 to 14 during the Göteborg Children’s Film Festival. 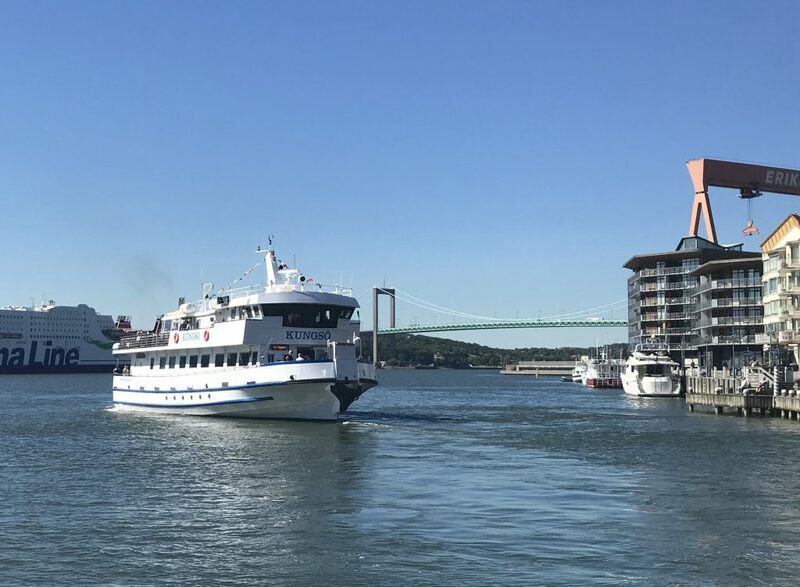 More than 1 300 children arrived by bus from various areas of Gothenburg including Tynnered, Angered, Biskopsgården, Bergsjön and eastern Gothenburg. 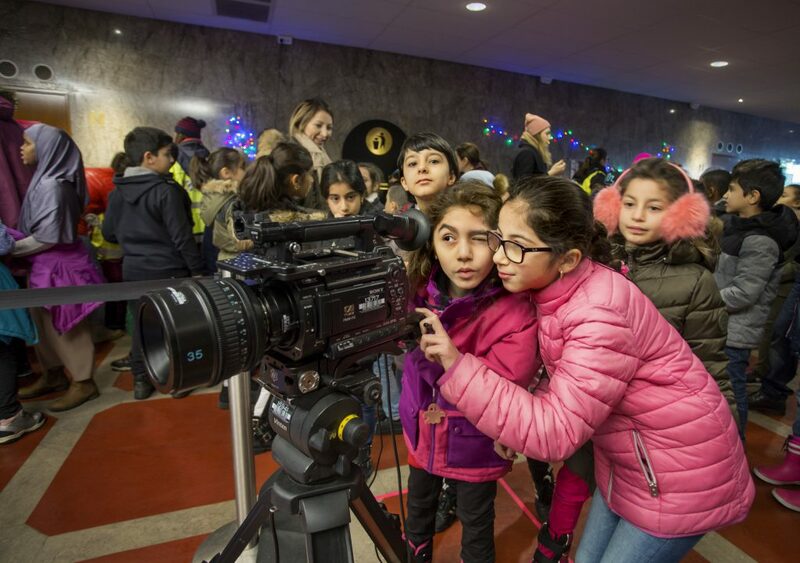 This initiative, organised in collaboration with the Göteborg Film Festival and Skolbio (School Cinema), is designed to give children from all areas of Gothenburg the opportunity to visit the Film Festival. Among the crowds of excited children waiting in the hall for their film to start, we spoke to a group of girls and boys from the school Sjumilaskola in Biskopsgården. They have produced an intro which will be shown before each film, and they are already well informed about the Film Festival. “It’s great because it’s so big!” says Almina, who is in year two at Sjumilaskola. All her schoolmates agree that it’s really exciting that so many films are shown. “I might work in films when I’m grown up,” smiles Almina happily. Children in preschool and year two were shown animated films from different countries, while children aged 8 to 10 watched the Finnish narrative film “Halmhatten, Filttofflan och bröderna Rubens” (The Straw Hat, the Felt Slipper and the Rubens brothers). The oldest children watched the documentary “Liyana” in English and Zulu. During the Göteborg Film Festival, world-famous film star Alicia Vikander from Gothenburg will give a masterclass. This event, organised as part of Gothenburg’s 400-year anniversary celebrations, will put Gothenburg on the international map.